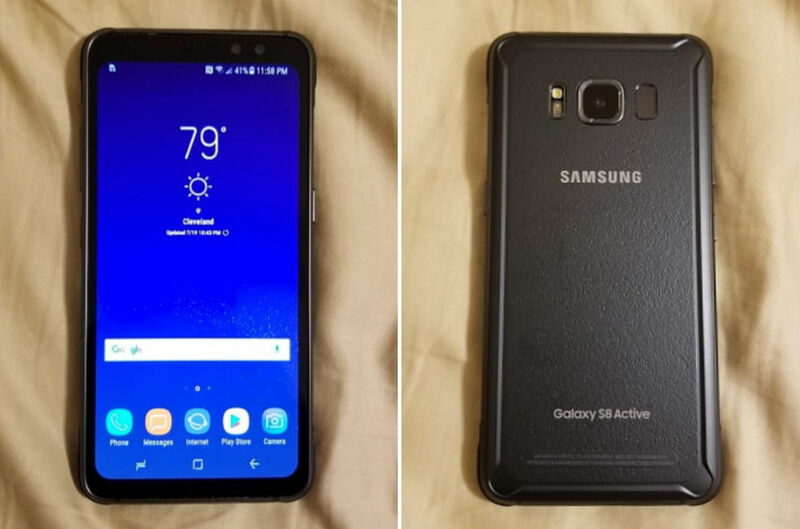 The above header image of the Galaxy S8 Active made its way online earlier this week, and now, we also have a reported full set of specs and features to share alongside the image. According to a post on Weibo, which lays out the entire list of features and specifications, the Galaxy S8 Active is packing a whole lot of goodies. 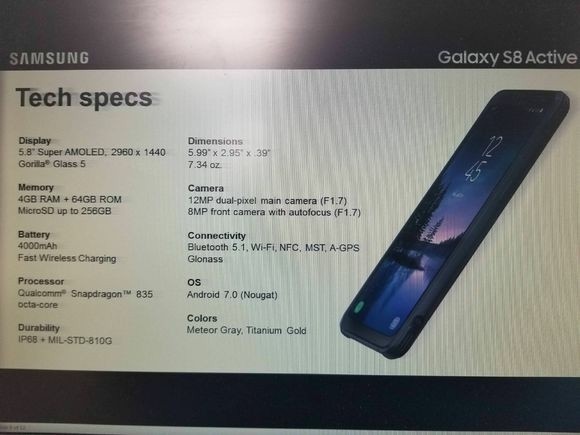 As shown in slides that were apparently photographed and then uploaded to the social network, the S8 Active will feature a 5.8″ Super AMOLED display, Snapdragon 835 processor, 4GB RAM, 64GB storage, microSD support, 4,000mAh battery(! 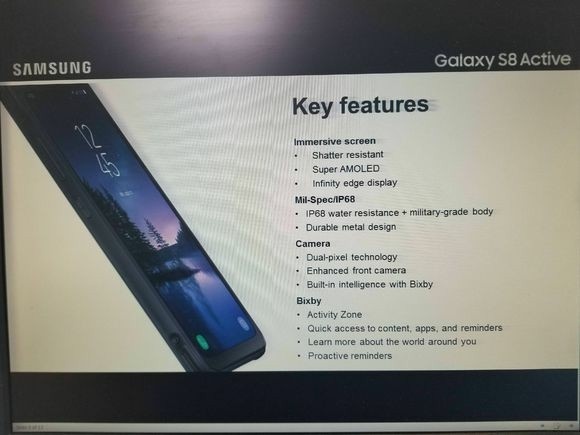 ), IP68 + MIL-STD-810G (military standard), 12MP dual-pixel rear camera, Bluetooth 5.1, NFC, Fast Wireless Charging, and a fingerprint reader in the same awful place. For a phone that’s built to last, it sounds pretty nice. As we already knew thanks to the device rolling through the WPC, the display is where things change quite a bit. Instead of a curvy design, the phone has a flat display, adding to its potential toughness. And of course, the body has been reinforced and you won’t find glass along its backside. We’re still waiting on release dates from Samsung or its carrier partners, but once that happens, we’ll be sure to update you.